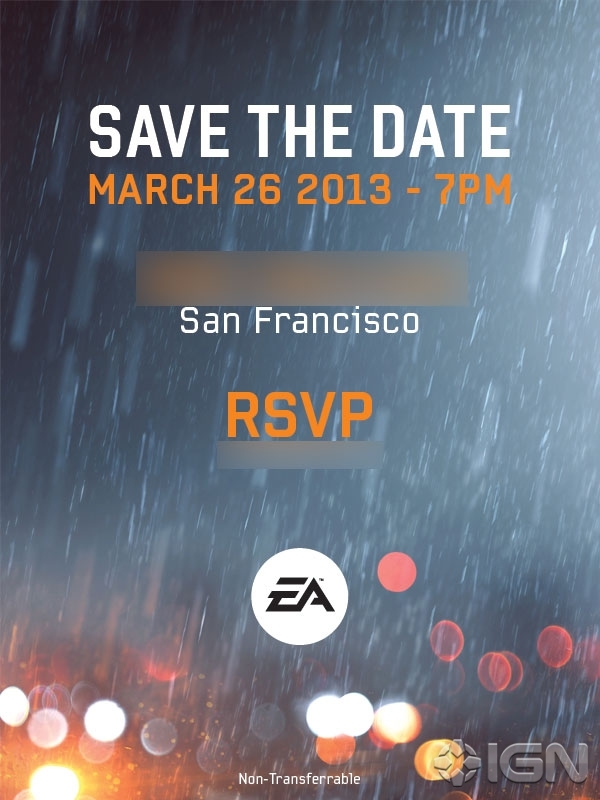 IGN recently got an invitation from EA for an event they will be holding at this year's Game Developer's Conference, running from March 25 to 29. 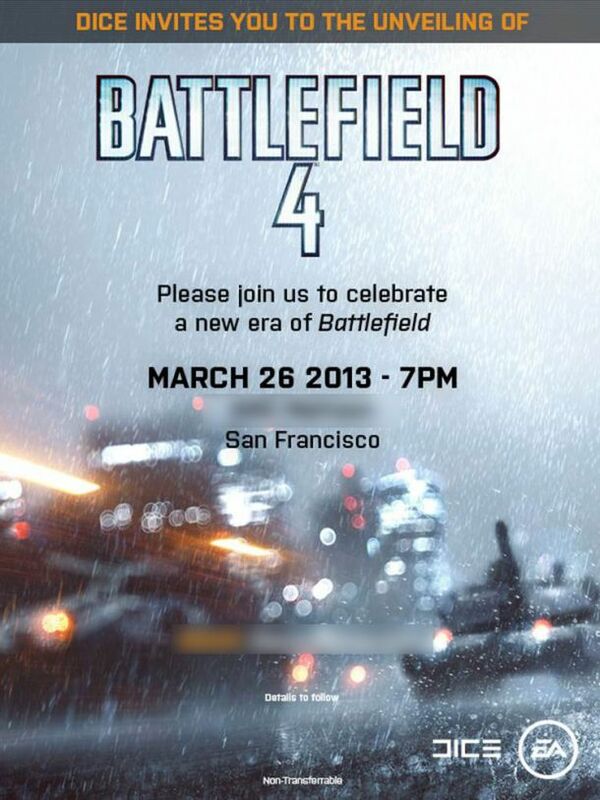 EA followed up with another invitation, this time confirming that the subject of the event will be Battlefield 4. In an earlier statement, EA has confirmed that Battlefield will not be annualized and that they are expecting a release sometime next year. As such, it will be available for next-generation consoles once it launches. A closed beta test is expected to start later this year.